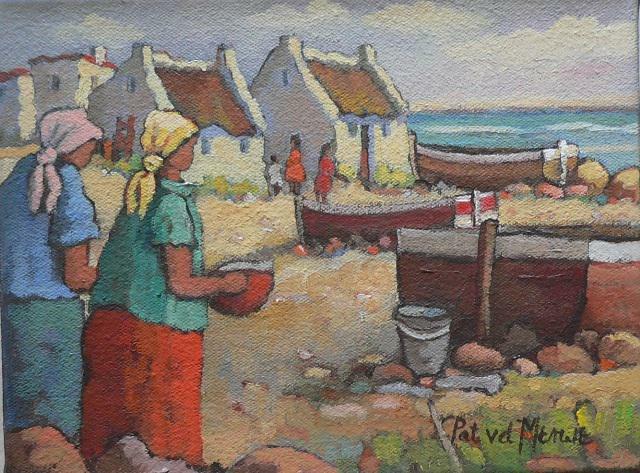 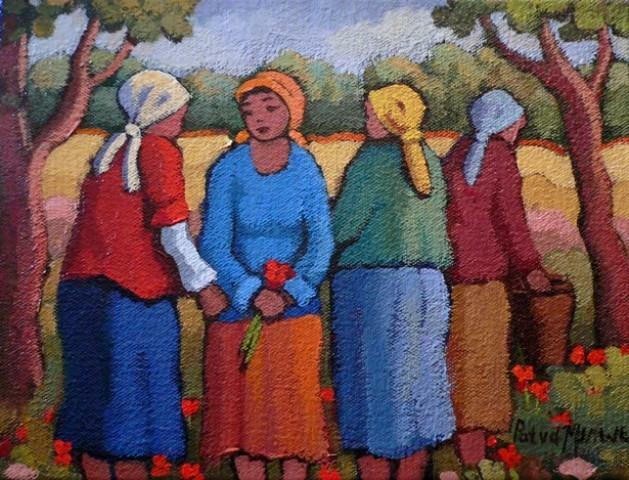 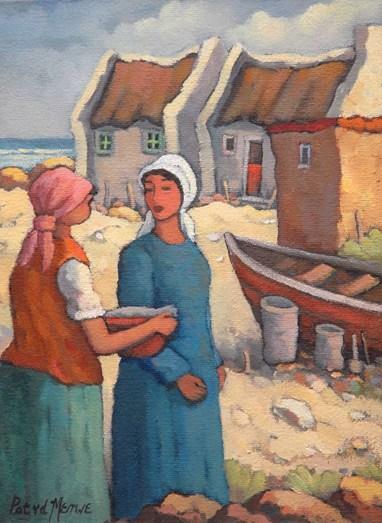 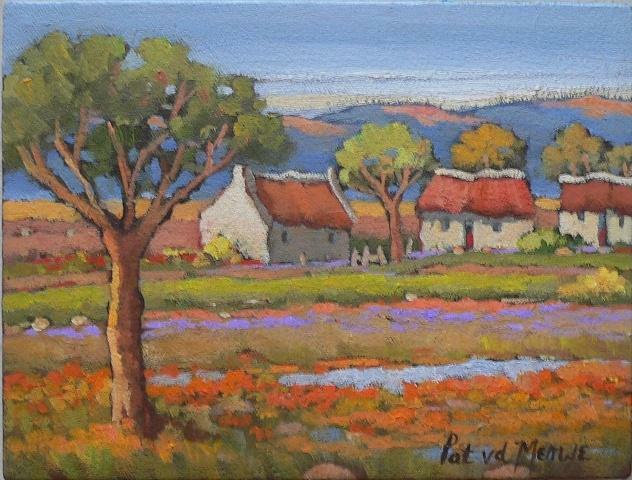 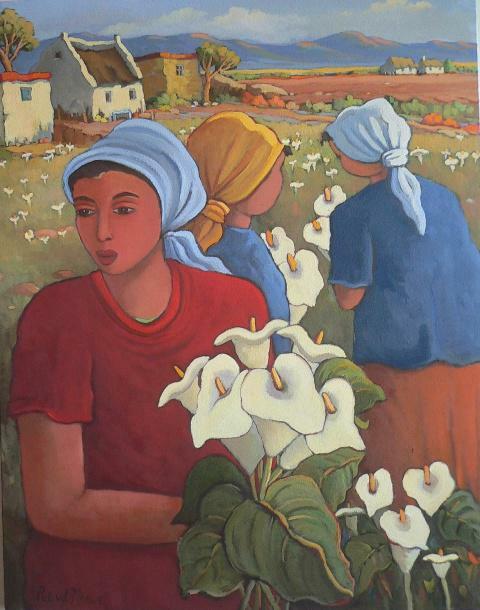 Pat van der Merwe was born in the Cape in 1946. 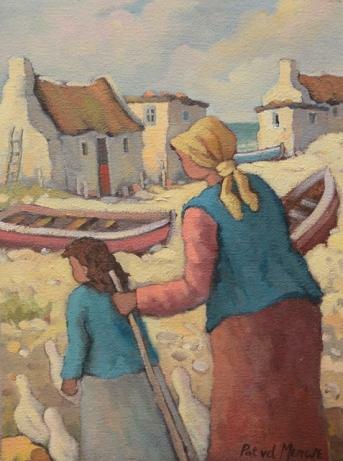 As a young child she was always interested in art. 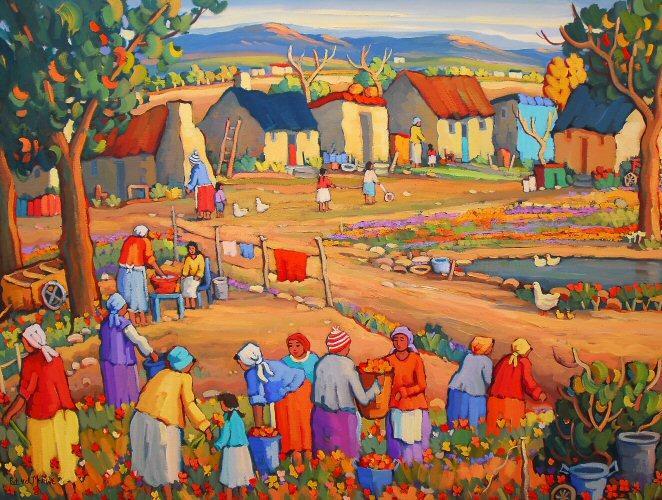 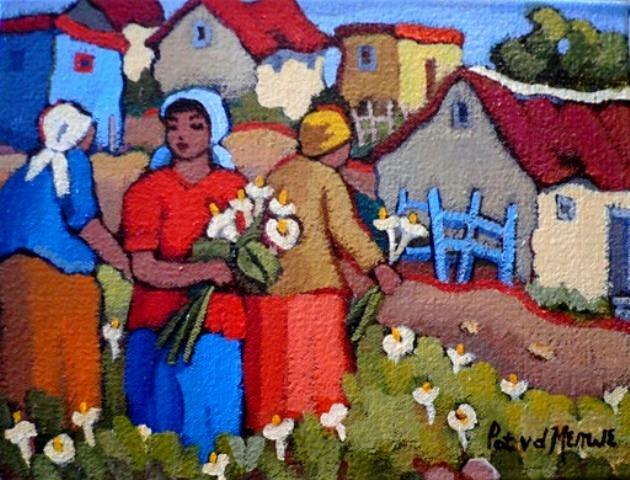 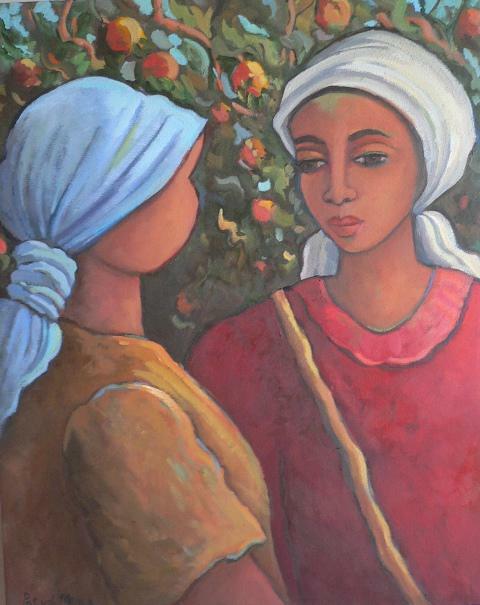 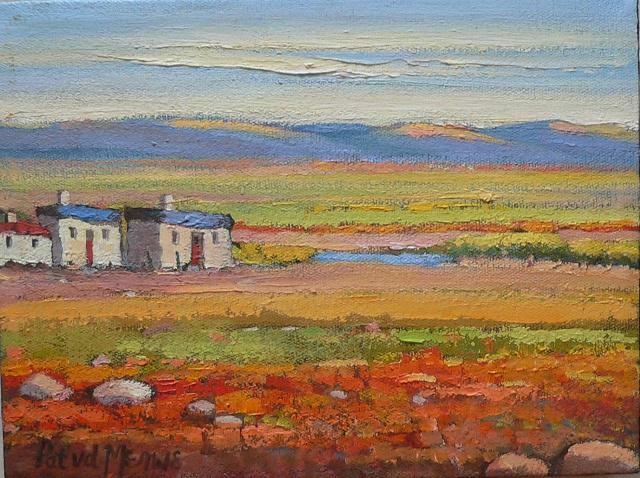 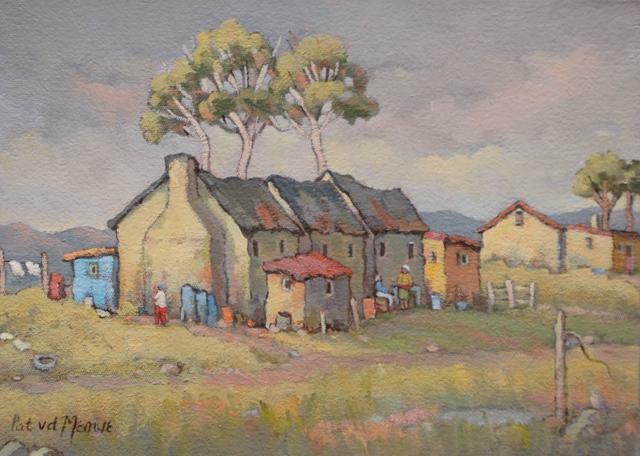 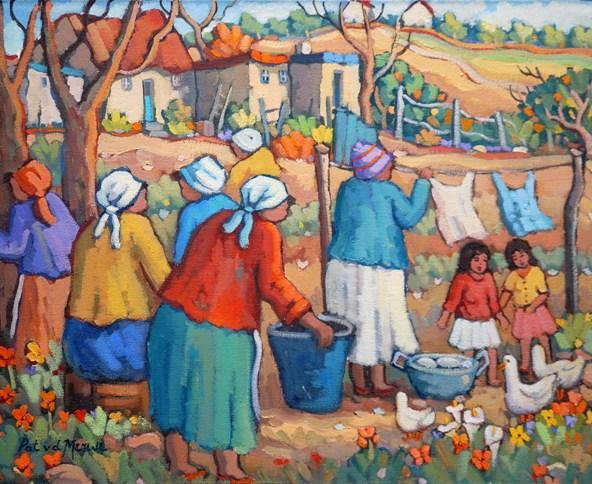 The beauty of the Western Cape inspired her to take painting seriously and she also finds "still life" rewarding. 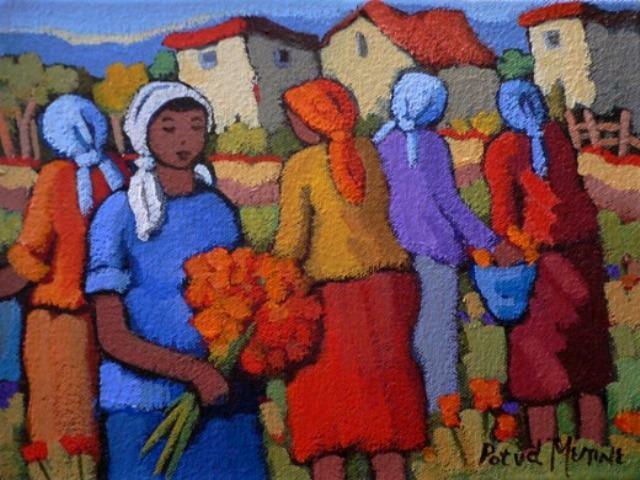 She works in oils, acrylic, and pastels. 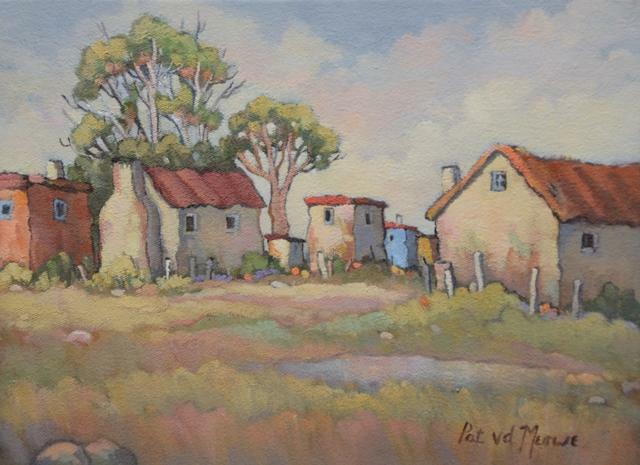 Largely self-taught, Pat has developed her own simplicity of style. 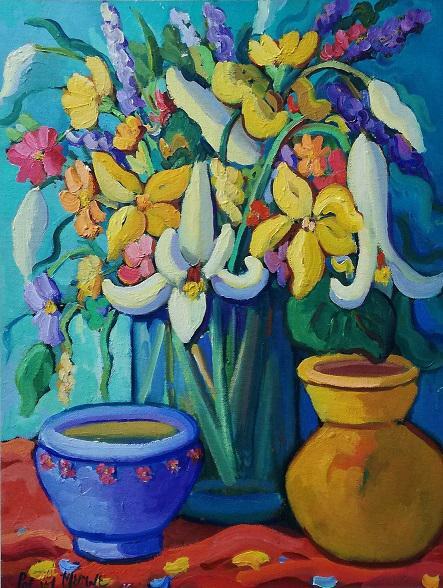 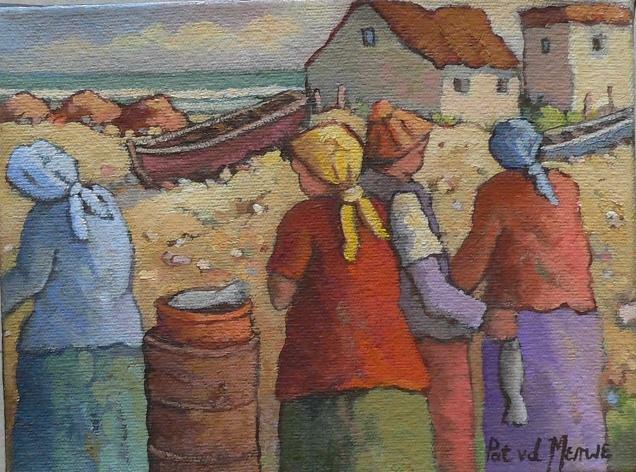 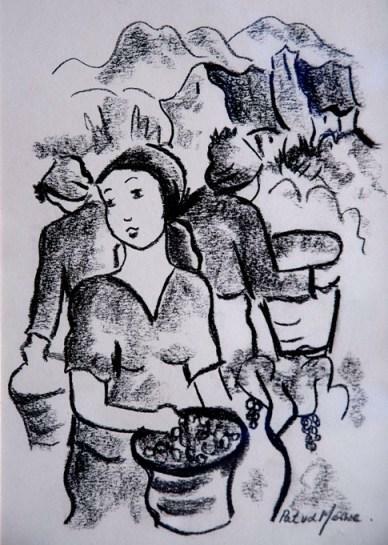 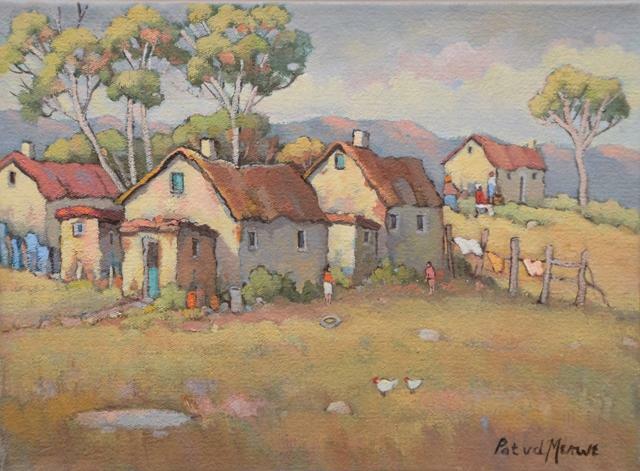 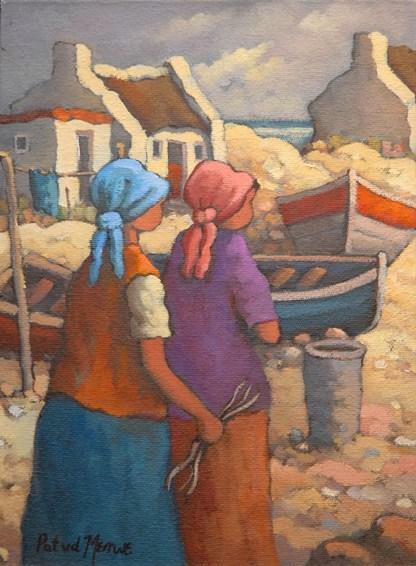 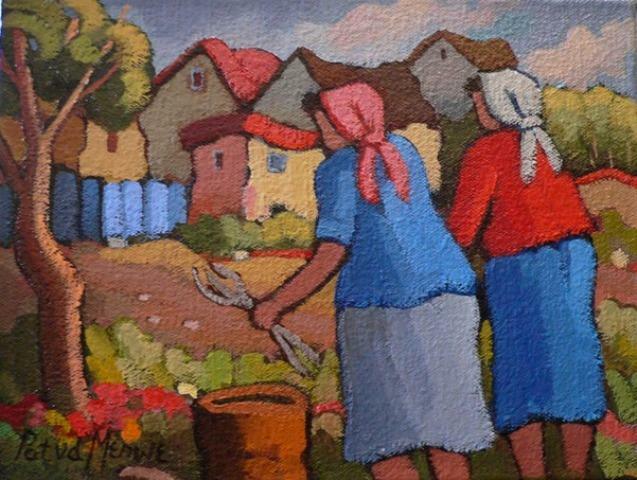 She has exhibited her paintings in many successful exhibitions and at present her work can be seen in many galleries throughout the country. 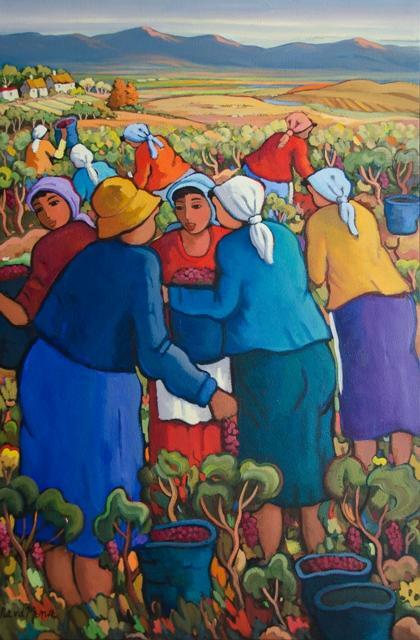 Large numbers of her paintings can also be seen overseas. 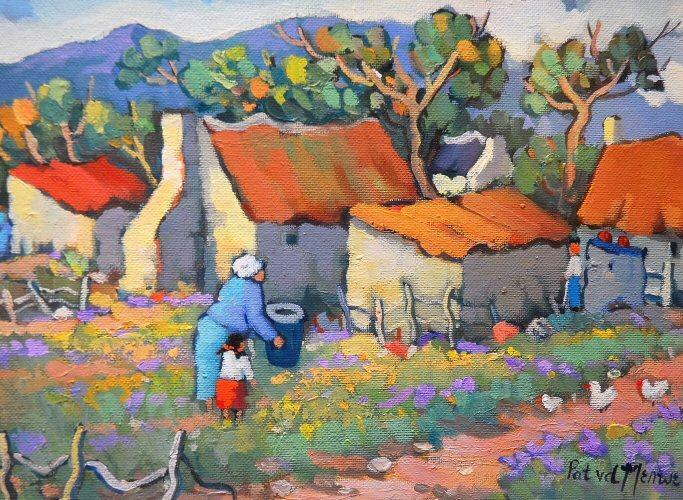 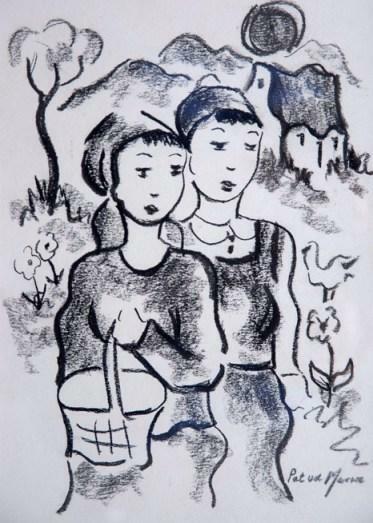 Private collections include: England, Holland, France, Belgium, Poland, Canada, Australia, United States, Germany, Namibia, Scotland, and numerous galleries in South Africa. 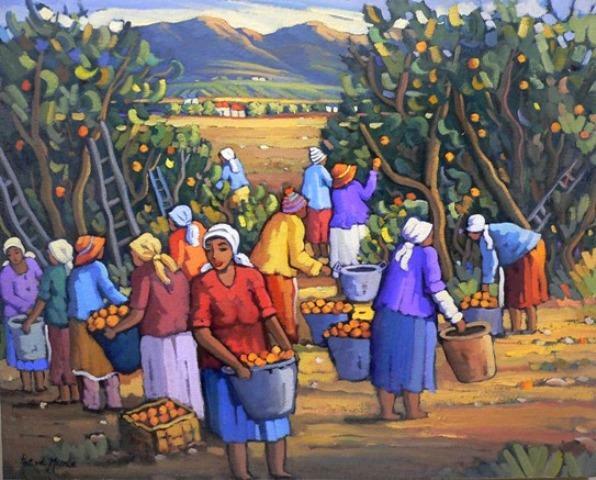 Corporate collections include: Board of Executors, 'Fynboswerk' for a Water Project, United Bank, Attorney General of Western Cape, 'Frank Kahn', Orange Tree Securities, BOE, and SAPPI.